Slava who spent a considerable amount of time going over the options with us and ensuring his measurements were all precise, was able to provide us with a simple outline of what the end product would look like and we appreciate him tweaking several times to suit our needs. Slava was friendly, professional, open to suggestions, and simplified things for us - much appreciated Slava! 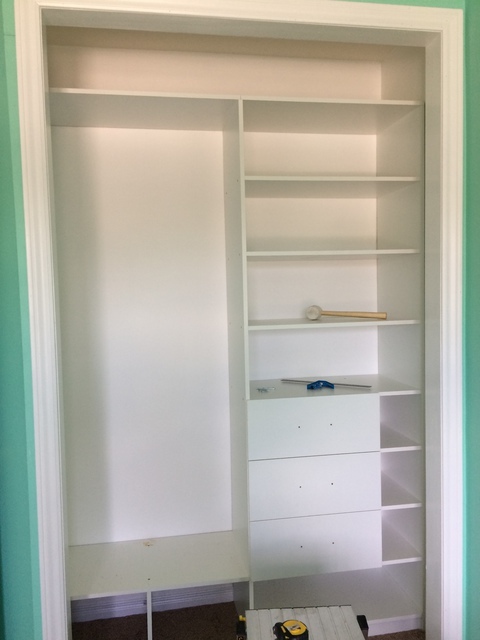 We all love our new closets. I couldn't speak any higher and wouldn't hesitate to call him again. Mo and his team have helped us with 2 projects in our home and he has been amazing! He was able to recommend appropriate product at a competitive price and really works to ensure that the right solution is presented and implemented on-time. As a result, it is without any hesitation that I would recommend Floorex Flooring Ltd services. Thanks for the review. I am glad you are satisfied. I would not recommend this company to anyone. No warranty for their service and terrible customer experience. After windows installation in 2014, one of the glasses appear to be defective and needs replacement. After three months, spending multiple hours on the phone and asking for warranty service, had decided to pursue legal action. Therefore NOT recommend this company to anyone - they CANNOT be trusted. I had the pleasure doing business with this company and i am glad that i chose this company over others. they are friendly and professional and quick. They also installed a 4 camera surveillance system in my store for under $1500, and they did a really good job. Honestly, great quality and the lowest price I could find by quite a bit. Thanks again! I found Royal Roofing through HomeStars so I was fairly sure I had made a good choice. From the moment I met Nick for an estimate, I found him to be honest, and extremely professional. He took the time to go up on the roof to see exactly what we needed (only one other vendor even bothered to go up, and they were nowhere nearly as thorough as Nick in their assessment). He then very patiently answered all our questions and provided some great suggestions for solutions. He provided us with a very detailed written quote, and responded very quickly and thoroughly when we had some follow-up questions. His crew as great - very polite and extraordinarily hard-working. The team did a great job and left our property cleaner than when they arrived. So, everything about Royal Roofing is professional, trustworthy, and reliable and I would recommend them highly to anyone, whether the job is big or small.